Prayer and decision making – The Truth Experience! 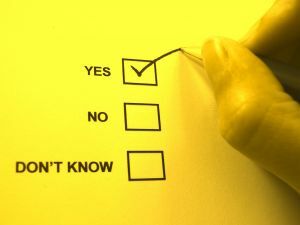 Bring people into the prayer process who will be honest and who care about you and the decision that needs to be made? Many people are familiar with diagramming a decision they need to make. Through experience and planning exercises, (although decisions may be hard to diagram), it is often easier diagramming the process to pray about the decision while drawing out the road map. Start here: Ask God about the questions you have and present the question in a way that lays it out on the table. Is the decision work, home, marriage or family related? What are the good; bad, attractive and ugly outcomes or results of the decision? How will the decision affect others in your family; the work you do, your career or future? How will this change your roles at home; at work; and any of your other relationships.